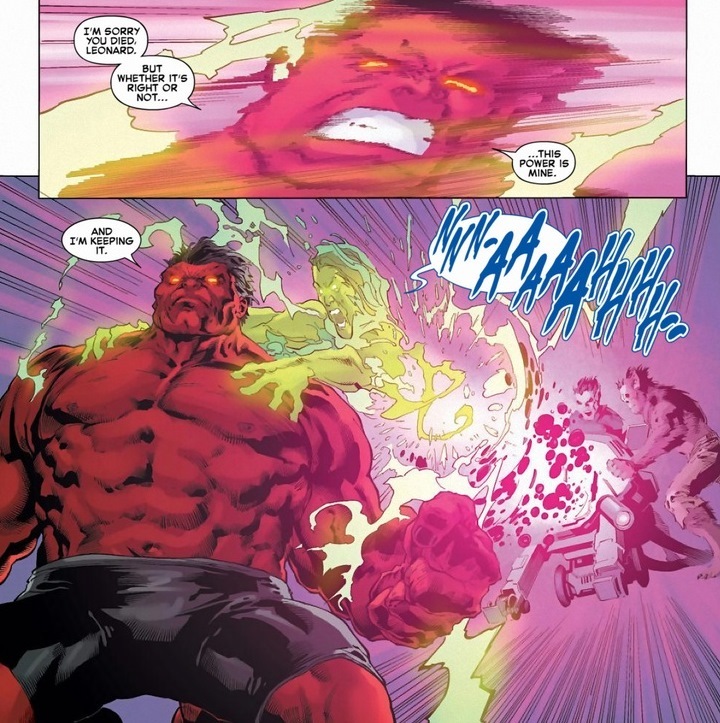 More Red Hulk! Could you ever get enough? 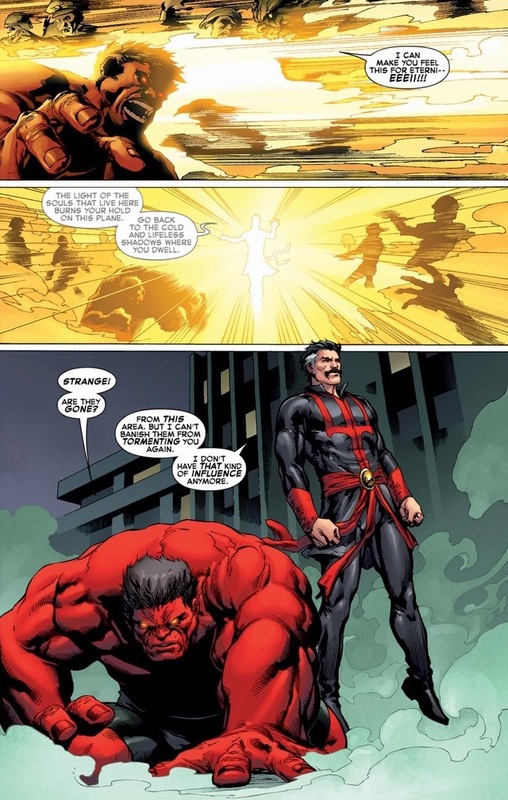 Unfortunately for our protagonist today, this’ll be a fight he can’t punch his way out of, so watching General “Thunderbolt” Ross get out of a situation that makes his main superpower (super strength) totally useless. Plus, vampires! 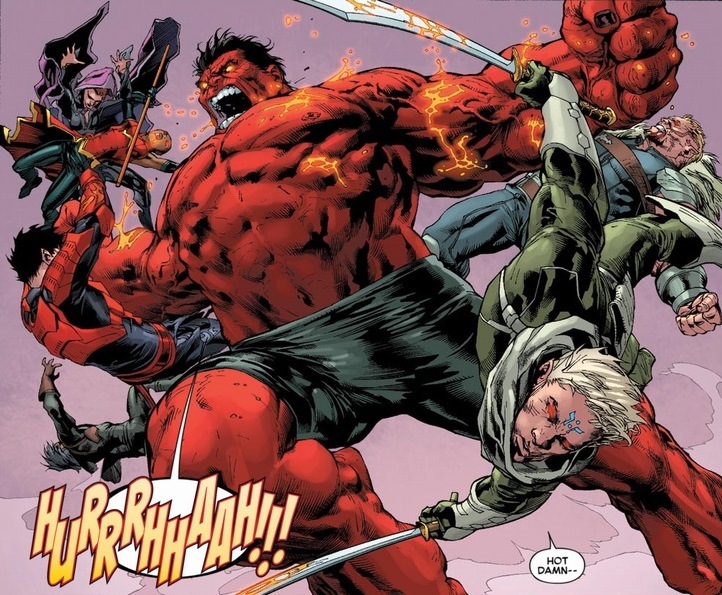 I greatly enjoyed the Hulk series, if just because while Bruce Banner gets angry, Ross just gets cranky. 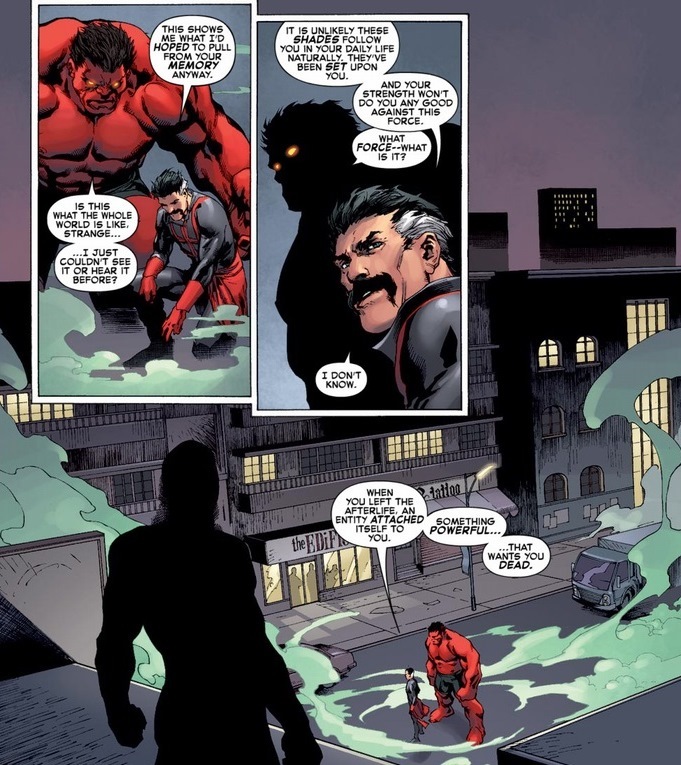 That happens with a 60 plus year-old dude, though he is one of the few superheroes with a thick, gorgeous mustache. 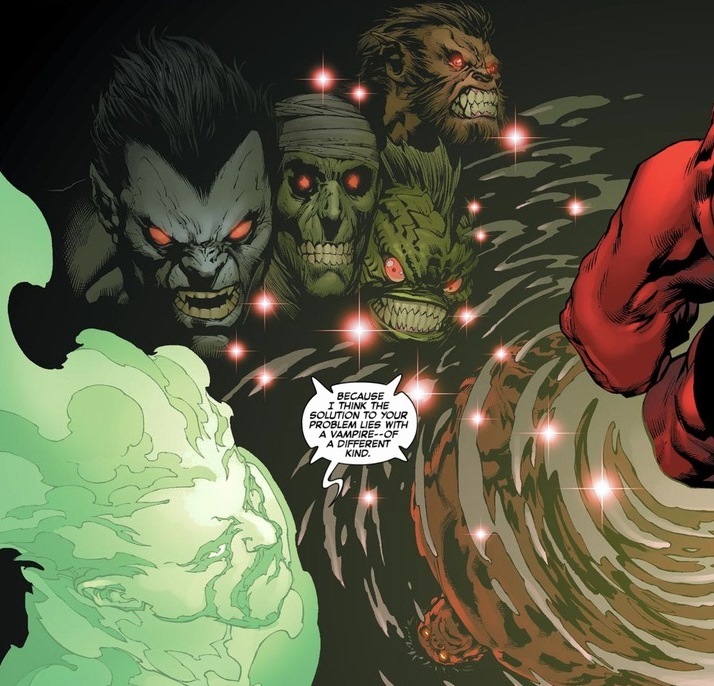 Today in Hulk #50-52, written by Jeff Parker and drawn by Carlo Pagulayan, Red Hulk has a serious ghost problem. Ever heard of the robot Machine Man? An established superhero in his own right, Machine Man’s been around since the 1970s. 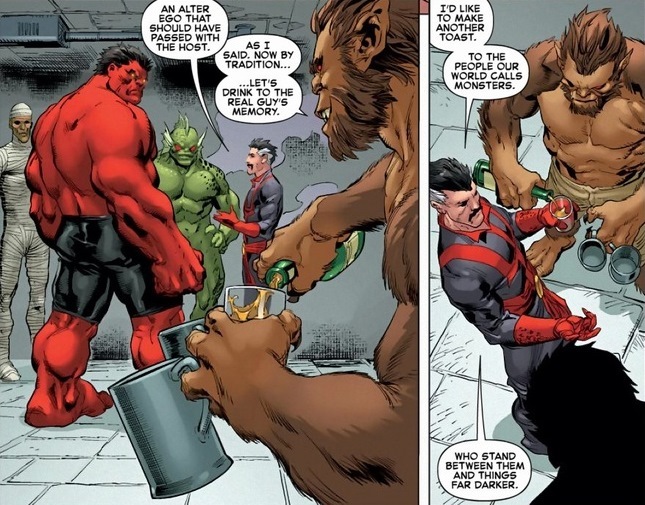 Now, he joined up with Red Hulk’s supporting cast. 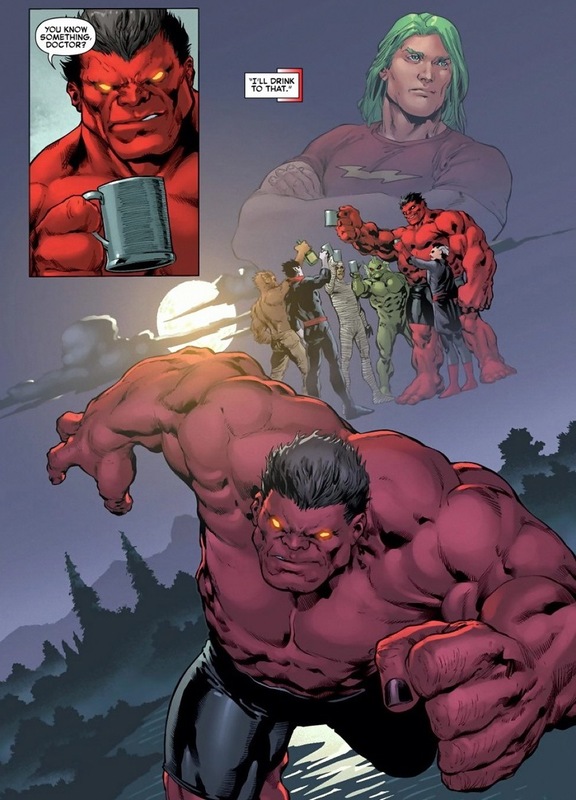 Red Hulk totally has his very own set of buddies and baddies. Three years of comics can build up quite a list of cool characters. Ross realizing that he may be dealing with forces of a non-punch variety, he heads to the expert. You figure fellow mustache-wearers could trust each other, but Strange ends up as a jerk here. Though you must admire Ross’ inability to distinguish between magic and bohemianism. So the memory Strange chooses? 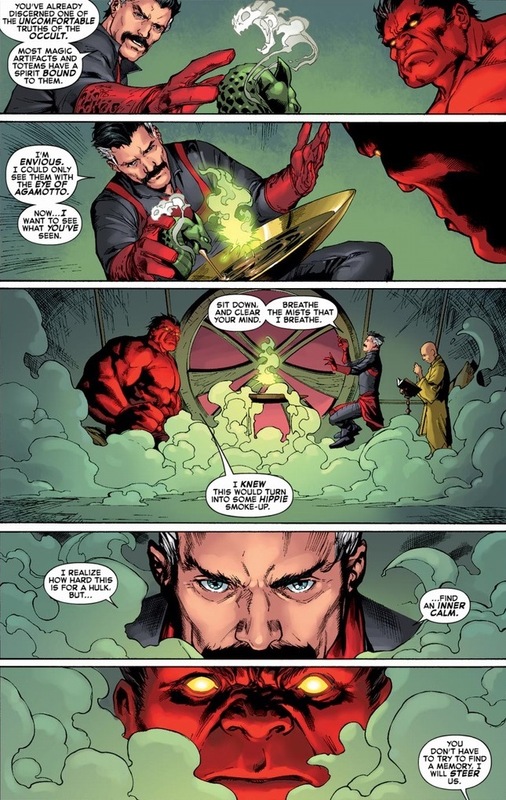 Strange deserves a broken skylight. 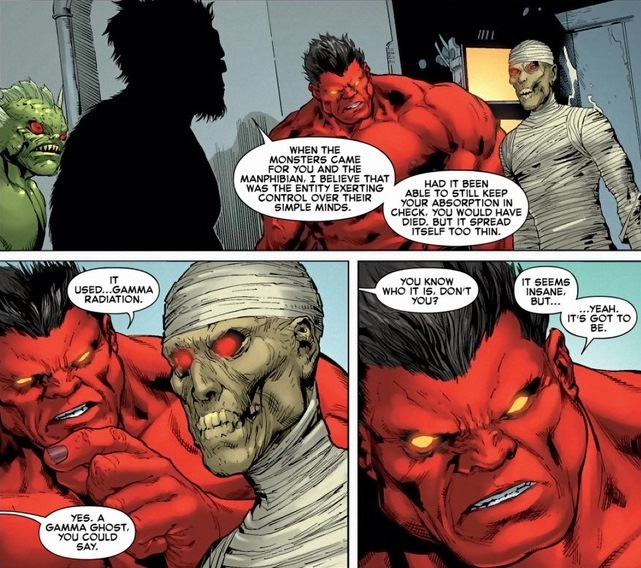 Fortunately, when more visions/zombies/ghosts/whatever attack poor Red Hulk, Strange redeems himself — in a way only Dr. Strange can. I’m not saying Dr. 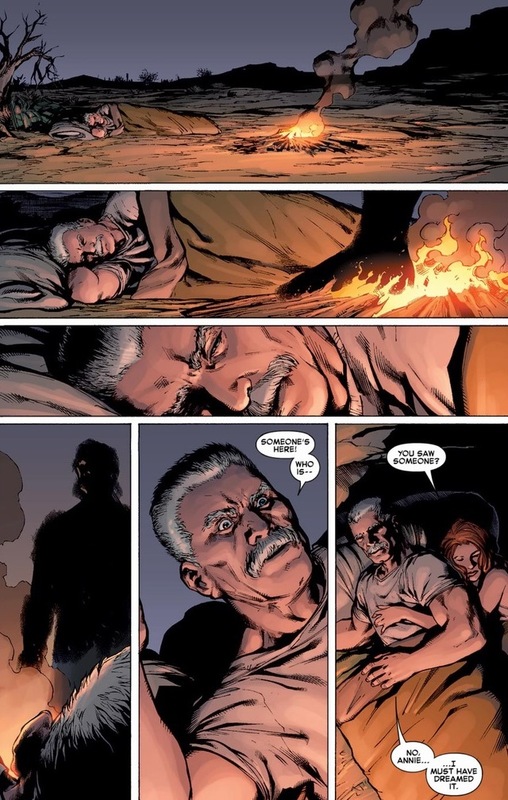 Strange is Marvel’s version of Jesus, but that is how Jesus would show up in a comic. 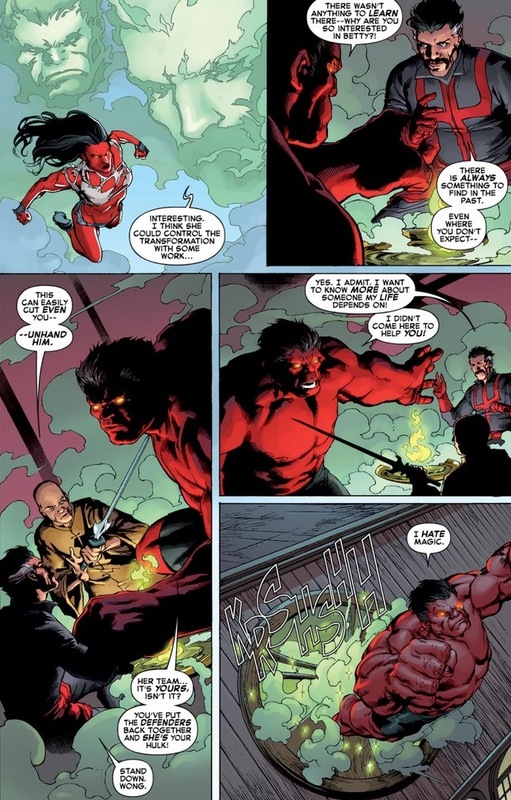 With a vague idea of what’s affecting Red Hulk, that means adventure! Ross gets to travel the world complaining about magic lakes and artifacts! 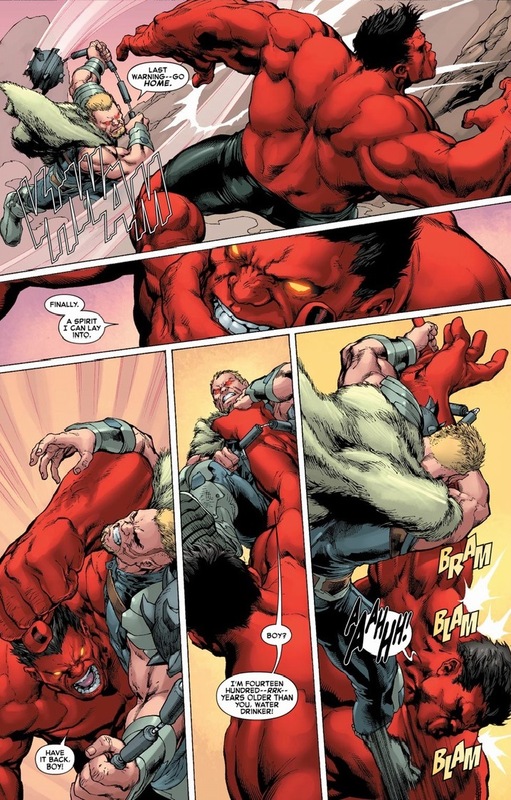 Along the way, he gets attacked by vampires, because that’s how comics work. Eventually, the solution to the ghost problem presents itself. A group of people can exorcise this shadowy figure with relatively little trouble. Well, I mean I wouldn’t call them people. In the Marvel universe, anything below ground guarantees a swift death. The Morlocks live down there, mutated creatures live down there, and probably the Lizard as well. Also, that’s where poop goes. 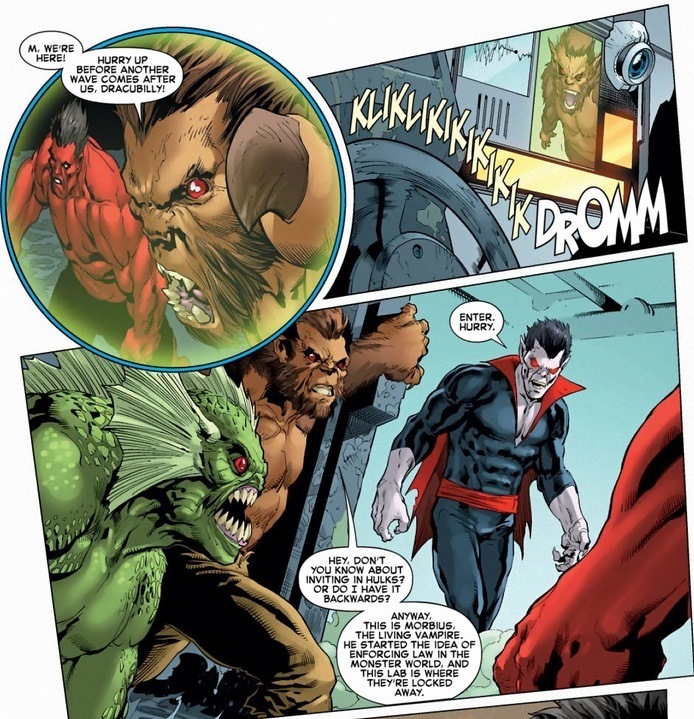 Luckily, a small group called the Legion of Monsters, led by the Living Vampire Morbius, fight the good fight — like when Red Hulk gets attacked by thousands of their brethren. Of course, things immediately get worse. Building suspense and whatnot. 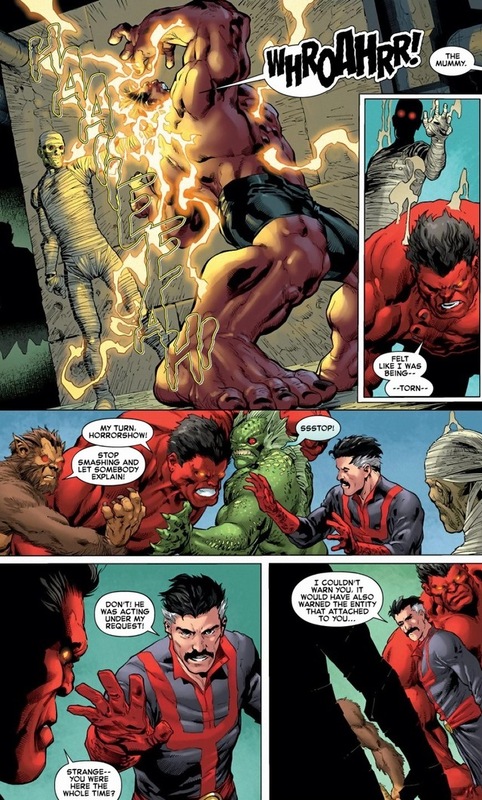 Apparently mummies can absorb ghost particles. Seems fine to me, but I’m not a scientist. Time to wrap this riddle up. 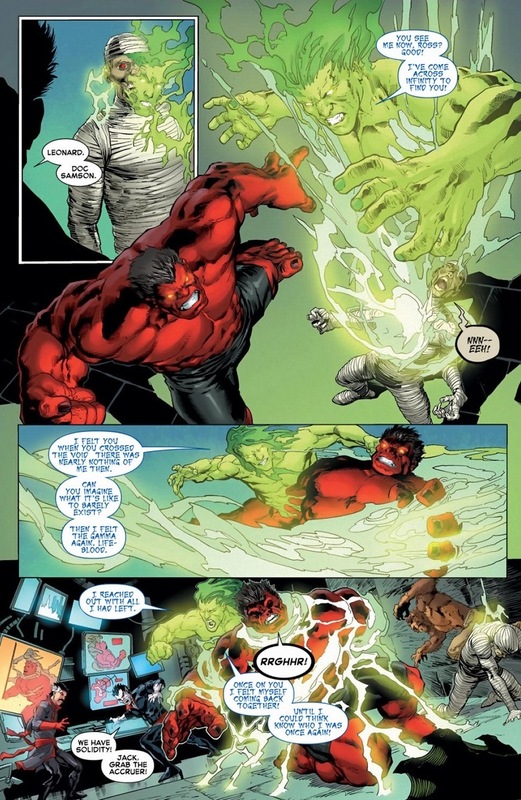 Gamma radiation means a Hulk-like being and only one gamma dude died in Hulk comics recently. Process of elimination leads to our exciting conclusion! 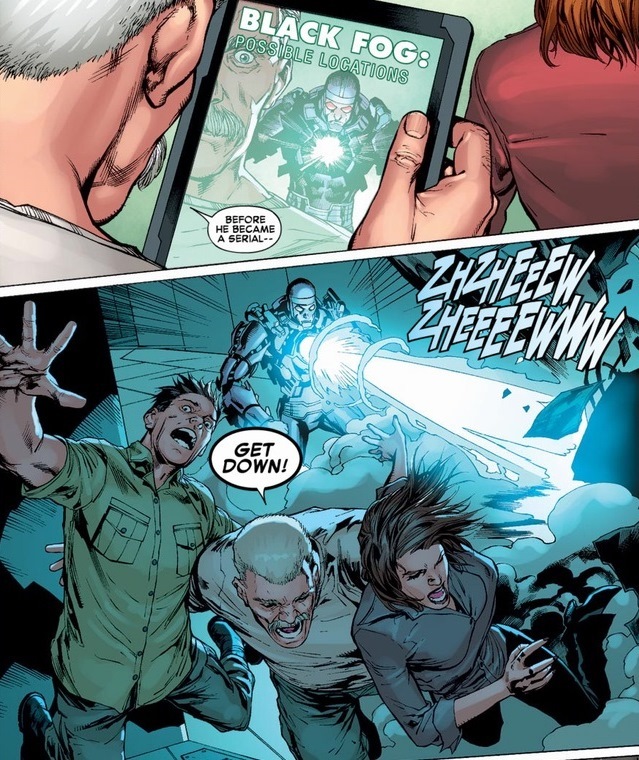 The Legion of Monsters possesses a Ghostbusters machine. 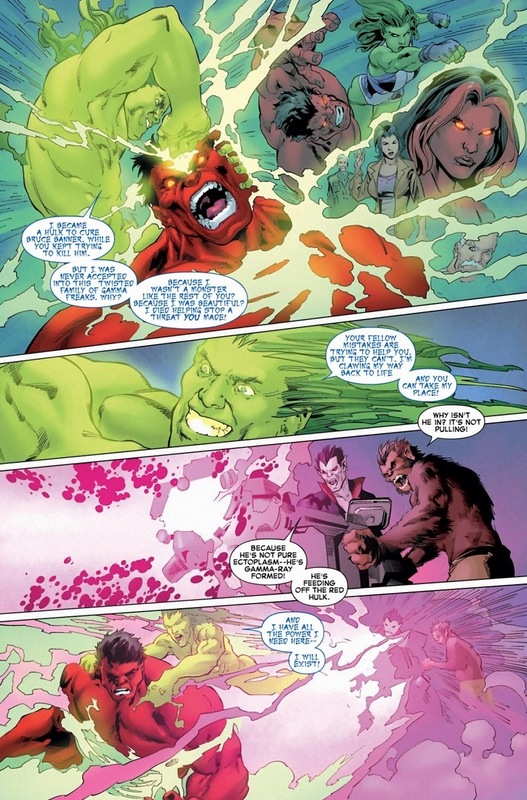 Poor Doc Samson, the psychologist to the superheroes, hasn’t showed up since this moment a year or two ago. Even Chaos War didn’t fully bring him back to life. Oh well, at least his friends can still honor his memory, which I guess’ll be the best consolation prize a ripped apart evil spirit can hope for. Note, Friday will be my last article for two weeks while I go on my first vacation since this blog started. While I won’t have my comics, Wolverine, Spider-Man, and the others will always be carried with me in my heart — something the airline doesn’t charge extra. Great series here man. 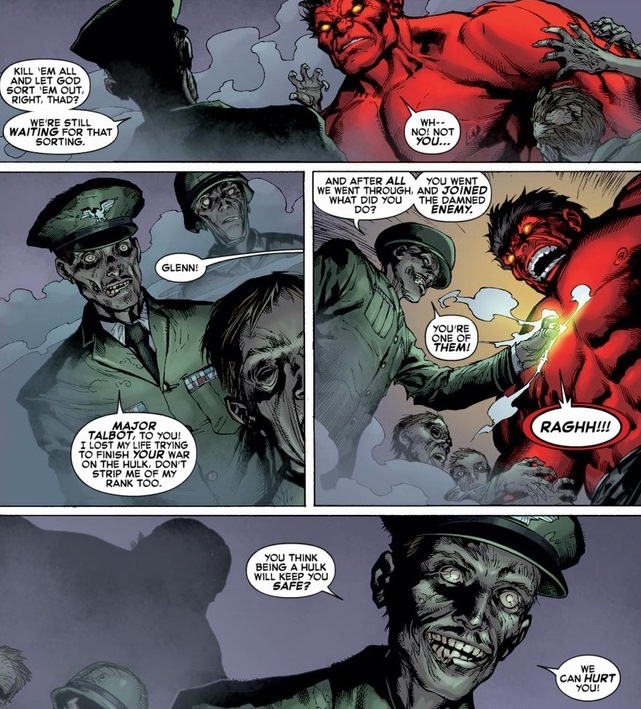 I haven’t really read anything about the Red Hulk and now I feel all caught up. Ross has a hell of a mustache, pity it doesn’t stay when he transforms. Enjoy your holiday, you’ve earned it.